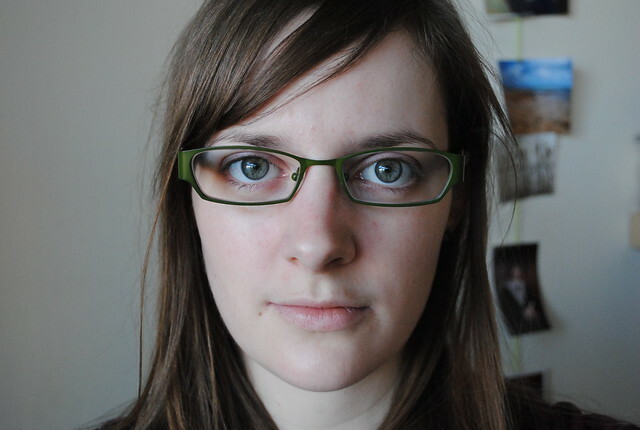 I'm Amanda Giesler, author and creative director of this blog. Read on to learn a little bit more about me and how Ulixis Crafts came to be. First, a little bit of background. I am a Canadian and have lived in Ontario my whole life. Originally a small-town Northern girl, I now live in Hamilton, a city in Southern Ontario. I moved here for University and recently graduated with my Master's degree in Medical Sciences. I'm currently unemployed, though hopefully not for long! Though I love math and science, arts and crafts have always held a special place in my heart. Growing up, I had a large drawer full of craft supplies that I would turn to almost daily, making clothespin dolls, pompom bunnies, a beaded curtain for my door, wreathes and more. Though I've traded pipe cleaners and googly eyes for wire and paintbrushes, that childish joy that comes with creation remains. And true to my roots, I've kept a foot in many doors, dabbling with mixed-media art pieces, jewelry making and sewing. Besides all that, I also enjoy reading, writing, cooking, shopping, exploring and collecting things; I love anything handmade or with a bit of history. I relish trying new things, especially food and different art forms. My blog is where I put it all together, as a sort of collection of my life and experiences. An online diary where I can keep track of the years as they fly by. So for me, blogging is more than just a pleasant pastime. It's keeping track of my life and things that are important to me. It's connecting with people I know and people I don't know. Blogging is also about growing up. Over the years I'll be able to read back and have a glimpse at places I've been, things I've done and people I don't get to see anymore. More than that, I'll be able to see how I've grown as a person, how my opinions, ideas and tastes evolve as I age. As in life, my blogging follows a flexible routine, with several regular features. I like to keep some of these weekly, whereas others are more spur of the moment. I like to start out the week with a Weekly Forecast. In these posts, I like to set myself a list of things I want to do that week as well as a list of things I want to blog about. Since starting these posts, I've found that I'm much more productive, both in real life and online. On Mondays, I post a mosaic, a collection of Flickr photos that usually follow some sort of a theme. 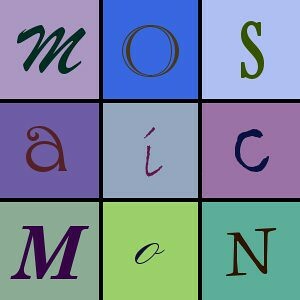 Mosaic Monday is a play-along feature - submit your link in the box at the bottom of my post so that everyone can take a peek! This year, I'm making up my own Project 52 - no theme, just take a photo a week. I'll be posting these weekly on Saturdays. Similar to Mosaic Monday, you can add a link to your photo if you're participating too! As I get older, I find that the time slips by all that much more quickly. In order to slow down a little, I've taken to writing down one little thing I'm thankful for each day. I post the list on Sundays along with a submission box so that you can post your list as well. Wednesdays I typically post a quick Wordless Wednesday. The photo posted often relates in some way to what's going on that week. Thursdays are reserved for My Creative Space which I link up to over at Our Creative Spaces. Here you'll find a recent project I've been working on or a look into my sketchbook. Besides those weekly posts, I also have some regular features that fit in with my other interests and passions. I love reading; you'll find some of my favourite books in Recommended posts. I also love cooking and baking and blog about food quite often, sometimes with a Recipe. Sometimes I'll talk about my Home Decor or Collections. Quarterly, I'll talk about Colour Palettes, often with a look at some of my seasonal clothing. In fact, I really want to try posting a bit more on Fashion in general. Inspiration posts feature amazing artists and photographers I come across online. Finally, Science Bytes are where I let my nerd loose, though these have been less frequent lately. I try to keep this organized by tagging all my posts. You can find a list of tags on my sidebar - or use the search bar to be more specific. Hopefully you enjoy your time spent here and maybe even learn a little something! If you have any comments or suggestions, please email me at ulixis.crafts@gmail.com.